The Martin-Mullen Art Gallery at SUNY Oneonta, in collaboration with the Sunne Savage Gallery, is pleased to announce the exhibition, robert s. neuman: space signs 1968-2009 on display from November 5th – December 14th, 2012. The works in the exhibition encompass Neuman’s Space Signs Series, including painting, unique works on paper and prints, which were begun in the late 1960s. The opening reception will take place on Thursday, November 8th from 5:00-7:00pm at the Gallery. The gallery and reception is open to the public without charge. Robert S. Neuman, second generation Abstract Expressionist, addresses regional, historical and metaphysical themes in his artwork. Neuman, the recipient of both a Guggenheim Fellowship to Barcelona, Spain and a Fulbright Grant to Stuttgart, Germany developed 16 series of work over the course of a career that spans more than 60 years. These series and themes have developed from inspirational cues Neuman has encountered throughout his life, such as place, architecture and cultural diversity. The Space Signs Series is a progression from the Pedazo del Mundo Series, which was started in 1961 in Boston, MA as a response to Neuman’s time spent in both Germany and Spain. While abroad, Neuman was influenced by the people, cultures, religions, etc. making up the pieces of our world (Pedazos del Mundo). Whereas the Pedazo del Mundo Series focuses on the world (Mundo), the Space Signs Series is more atmospheric in its abstraction, symbolizing stars, planets and outer space. Neuman states, “…so what I did was take these little units of symbols floating around the main image in the Pedazo del Mundo Series compositions and give them more importance.” As seen in the unique detailing in the Space Signs Series, Neuman has focused his work to explore the theme of a vast universe. The Space Signs Series, started in 1966, was inspired by contemplating space travel under the brilliant night sky of Downeast, Maine, where Neuman owns a summer residence. 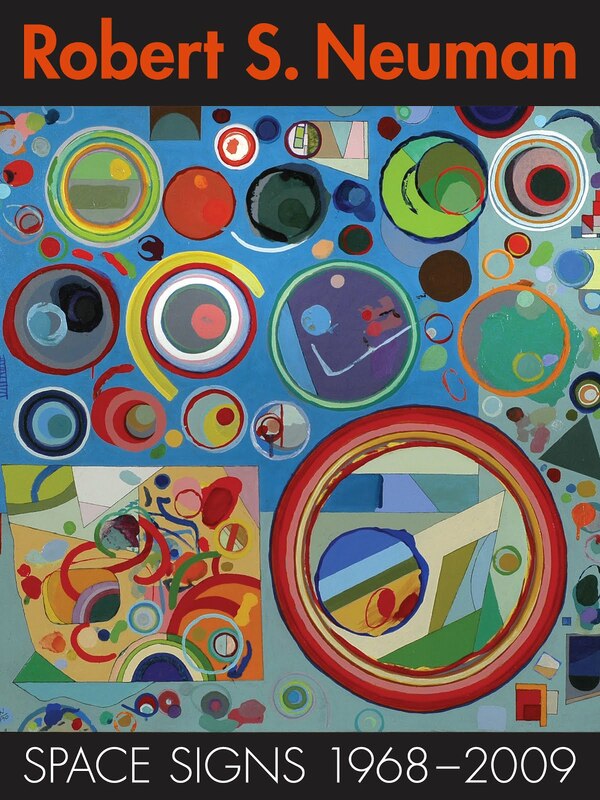 Neuman composes geometric, optical abstractions, similar to constellations, of brightly colored circles. 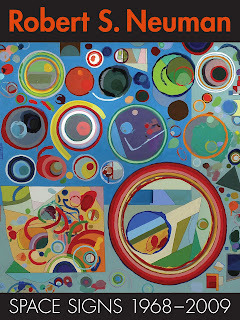 The artist has used circular imagery in his work for many years. "The circle, it is thought, is one of the most harmonious of forms," states Neuman. Other elements similar to previous series’ includes abstract imagery, color and stamping, seen in this series by using the rims of household containers to signify constellations. Often, triangles, symbolizing mountain, intersect with these constellations. In addition to the exhibition at SUNY Oneonta, Neuman also had a major solo show entitled Robert S. Neuman's Ship to Paradise at the Hecksher Museum of Art in Huntington, NY, this past summer, which will later travel to Bates College in January 2013. Neuman also had a show in September 2012 at Keene State College, Keene, NH, called Robert S. Neuman at Keene State College: 1972-1990. His work is included in the collection of the Museum of Fine Arts, Boston, MA, Colby College Museum of Art, Waterville, ME, the Museum of Modern Art, New York, NY, Farnsworth Art Museum, Rockland, ME, the Hood Museum of Art, Dartmouth College, NH and other national institutions. For further information regarding the artist please visit www.robertsneuman.com.